If you were wondering when you’d be able to try all the new features Google is announcing for Android P, it turns out you won’t have to wait long at all. 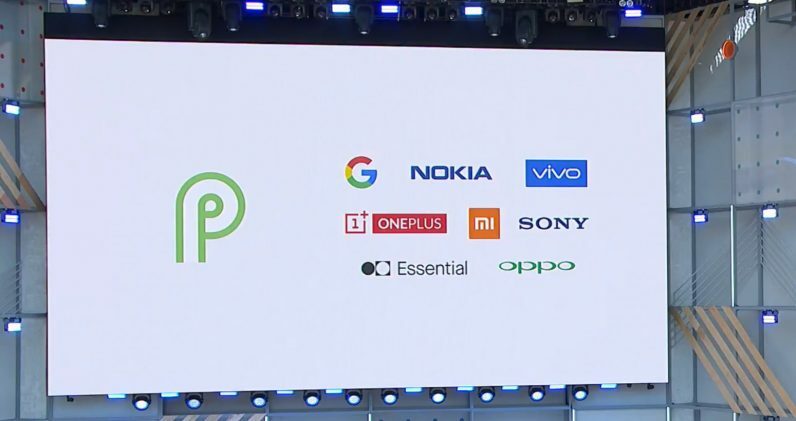 At it’s I/O developer conference, the company said a public Android P Beta would be available today. To be clear, Android P already had a developer preview that was a bit of a hassle to install and didn’t include many new features. This beta includes a litany of updates, including new gesture-based controls, improved volume settings, smarter automatic brightness, AI-powered battery improvements and more. All of these phones can download and flash the beta right now, though be sure to read the fine print before installing. Most of the devices can’t download the beta via an over-the-air update, for example. You may have to wipe your device and flashing the Android P image manually. And as always, expect bugs to be present. Proceed at your own risk. OnePlus, on the other hand, is a bit of a special case. The Android P beta will launch with the OnePlus 6 on May 16. It doesn’t seem the beta will arrive on earlier devices, as the company says “OnePlus 5/5T friends, we’ll have something nice lined up for you later this year” in a forum post. Keep in mind it appears these devices will be running a stock Android build, likely with few additional features – although some phones seem to at least be sporting their custom camera apps in preview images. Regardless, it’s a huge news for Android aficionados. After all, not all Android fans own a Pixel. “Together, not the same,” as Google’s marketing goes. You can find out more information about the beta at android.com/beta. For OnePlus, you can go here.